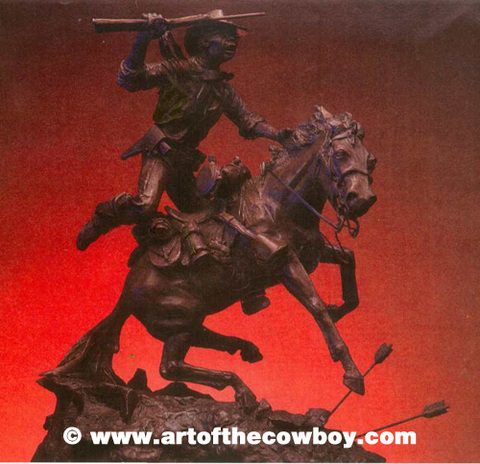 This major bronze depicts the 8th Cavalry’s famous “Buffalo Soldier” of the late 1860’s who helped to settle the Wild West, making it possible for our nation to expand from the mighty Mississippi River. These black warriors were called “Buffalo Soldiers” by the Indians who had never seen men of dark color or wiry hair. Their fearless exploits are etched in U.S. Cavalry history.